Our culture has been heading in the wrong direction. Christians experience unfair violations of religious freedom, and it continues. It’s terrifying. We see politics that threaten to persecute us as followers of Christ. We have our values mocked. Our social and economic freedoms are severely limited. These are politicians who have the influence to affect your everyday life. They could destroy the freedom to practice your faith, how you choose to educate and raise your children, and your access to quality health care for you and your family. For the upcoming election, we need to vet well over 500 candidates and judges, which takes extensive research time and resources to do it right. In the November 2018 election, voters will elect new governors, senators and members of Congress. This is our chance to elect strong principled conservative candidates with a Biblical worldview to these positions. Your support is a surefire way to help turn America around, and to secure our religious freedoms and the futures of our families. 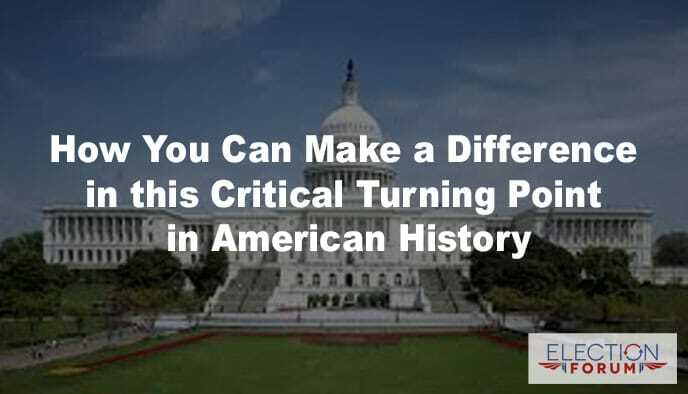 Give $10 donation today to Election Forum, to help us transform culture and politics in our nation. The Election Forum/Reality Alert is supported entirely by voluntary contributions from people like you. We are not sustained by any political or special interest groups, and accept no advertising. Our mission and operation budgets are underwritten in total by your donations. Thank you in advance.